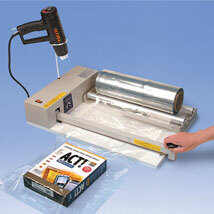 Complete System includes everything you need - Sealer, Heat Gun and Shrink Wrap! Create professional packaging in seconds for almost any size product! 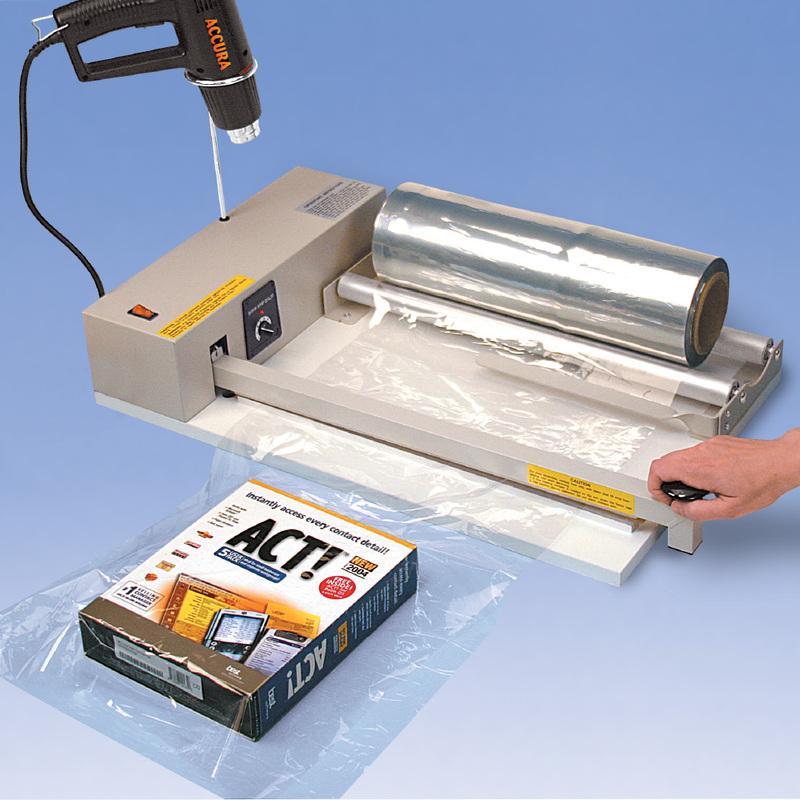 High quality, portable Shrink Wrap Systems allows you to package your merchandise from dust, moisture and handling. Unit plugs into any 110V outlet and 2-speed heat gun plugs into base of unit. Simply insert product in the wrap, seal on 3 sides and shrink. All systems include high quality sealing bar on durable base with shrink wrap roll holder, 500 ft. of 75 guage shrink wrap and 2-speed heat gun. 1 year warranty.